Mix sugar and cornstarch and then add the water and 1 cup blueberries. Cook and stir until thick and purple. Add the butter and 3 remaining cups of blueberries. Stir and let cool. Pour into baked pie shell and chill. I tried the sorghum flour shell for this recipe which was good, but this is my preferred crust. 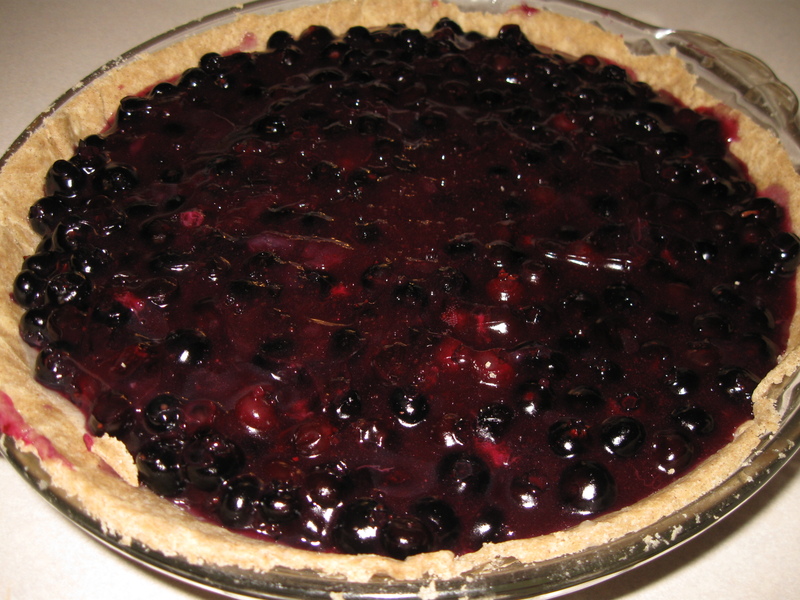 One Response to "Gluten Free Fresh Blueberry Pie"
Yum! I just made this pie and it’s delicious!